"I'm trying to move my Simulations to another computer but the background images are missing." – Digital Combustion, Inc. In order for the background images to be transferred, you must Export your Simulation from within Fire Studio using the Export Simulation button. You must then move the TWO files associated with that Simulation, the .DCS and the .LBR file, to the other computer. 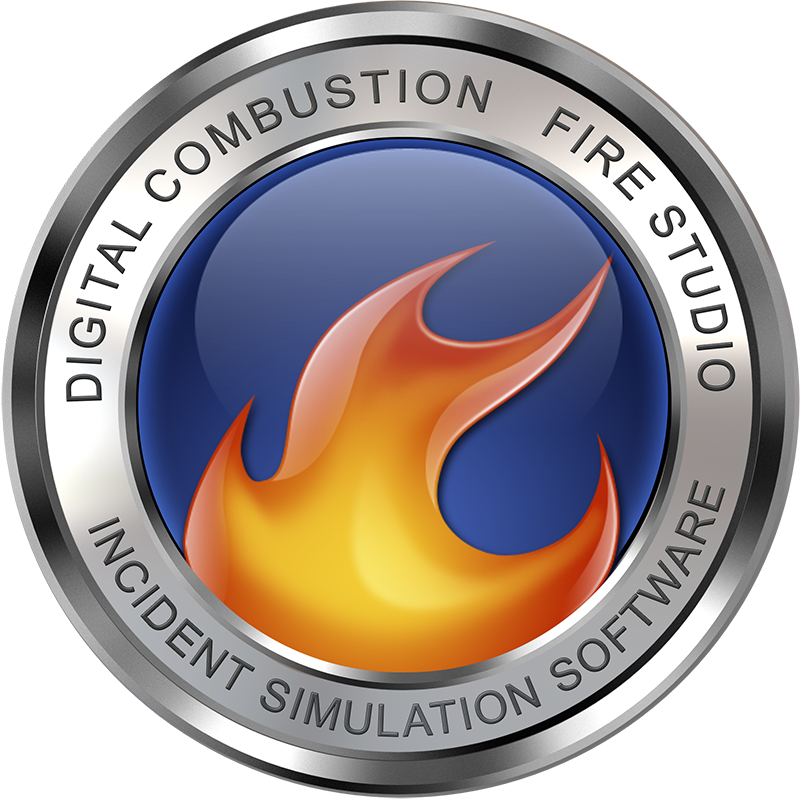 If you have followed the above steps and some or all of the backgrounds are still not appearing, check your Fire Studio 5 version number and be sure you are using version 5.4 or newer. An issue with 5.1 may cause your background photos not to export/import properly. To check the version, restart Fire Studio and look at the text box at the bottom of the screen. The version number will appear in red. Finally, missing backgrounds may also be caused by a lack of system resources. If the above does not solve your problem, check to be sure your computer's video card meets the minimum requirements to run Fire Studio. Also, check the dimensions or resolution of your background photos. Large photos require much more RAM and shrinking them down will reduce overhead. Note that if you do resize, you will need to do so on your Instructor machine, re-add the images to a new Library, add them back into the Simulation, and then export the Simulation again.